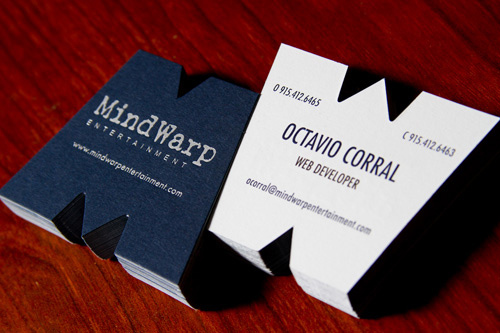 We have already showcased unique and unusual business card designs in the past. Today, we are bringing to you again some business cards which are visually striking and sometimes unusual enough to catch attention but this time we are featuring the new and fresh designs. 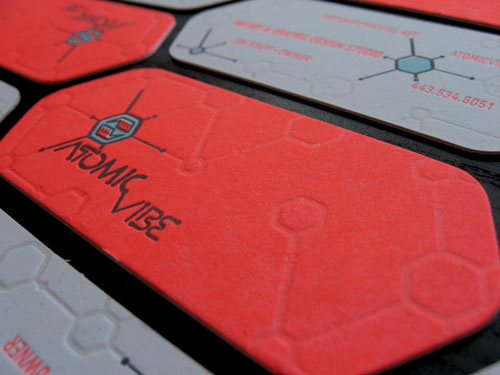 Unusual business cards are not the simple rectangular shaped business cards with typography containing the necessary information. 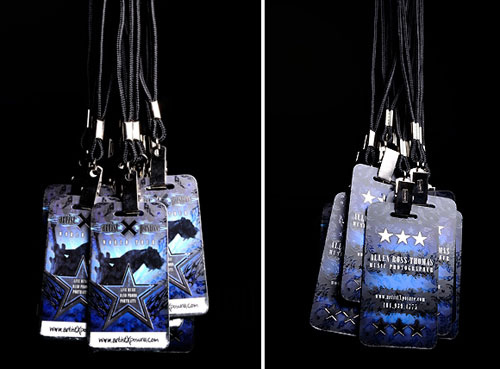 They are the cards that can be noticed through their great design effects such having irregular shapes, can be folded and mostly printed on different materials. Here is a New Collection of Inspiring Unique Business Cards to help you stand out in marketing yourself and your business as well. 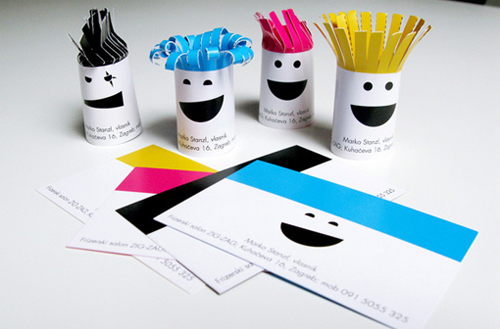 Check out this list to get design ideas if you are planning to make your own or redesign your business card. Enjoy! 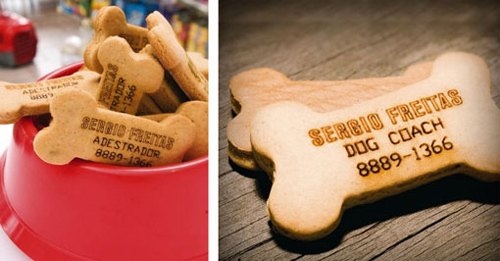 A business card designed for a dog coach & dog trainer Sergio Freitas. 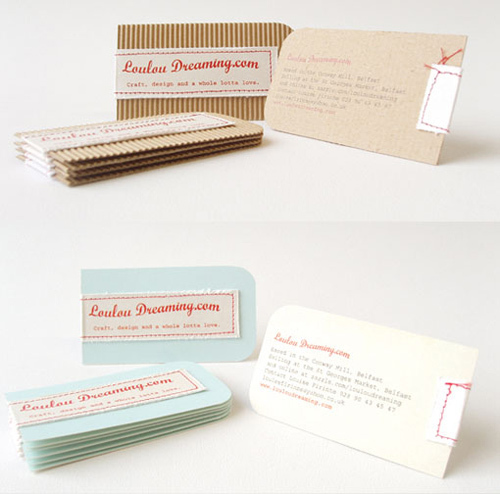 A business card for Loulou Dreaming company which was cut, scuffed and stitched by hand. 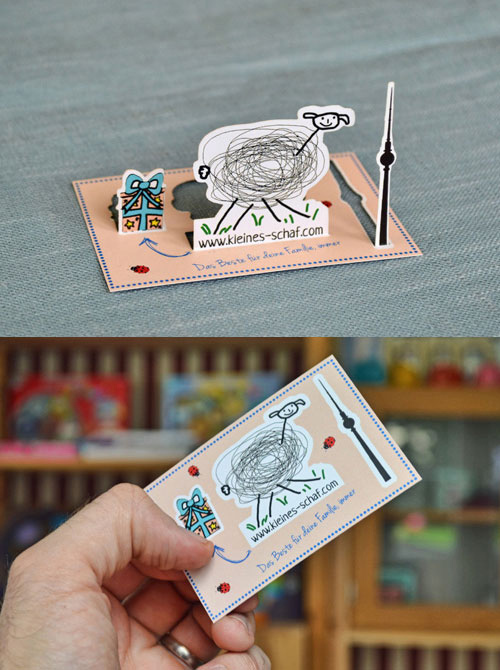 A business card design which consists of a logo of the web-shop, a gift and the Berlin TV Tower (home of the company). 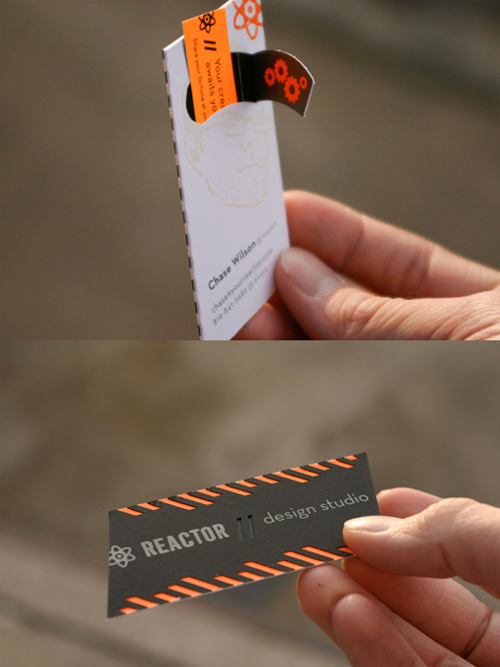 Another unique business card design. This business card was beautifully die cut. This business card which shows that doing pilates could develop better posture and flexibility. 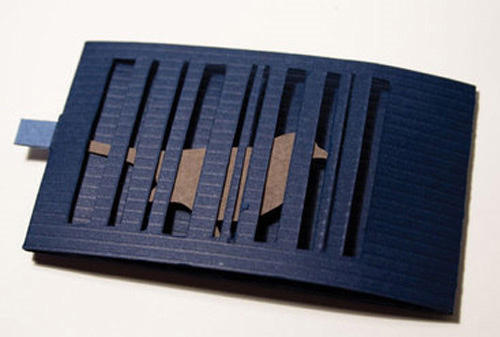 A unique and interesting three-dimensional card which is printed silkscreen on paper. A retro-inspired aesthetic card which was printed via letterpress. 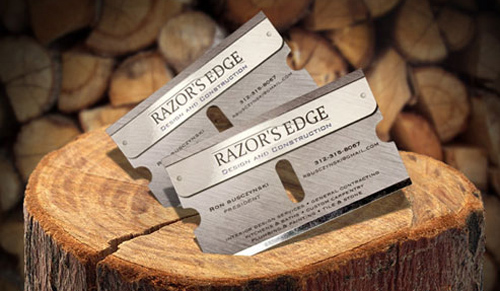 A heavy duty paper blades which can be popped out. 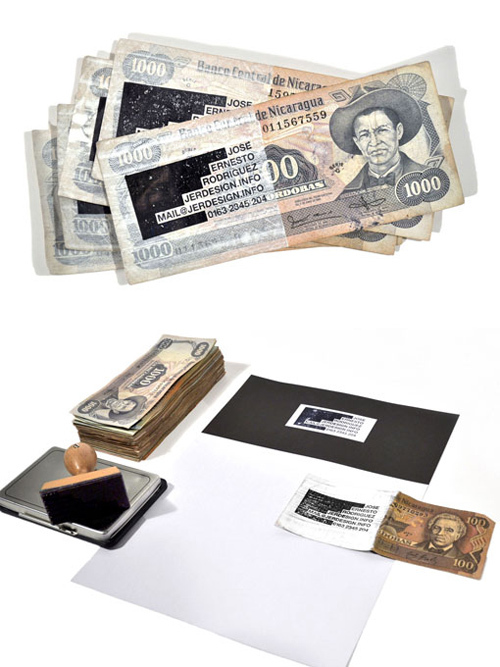 A business card printed on expired bills of Nicaragua. 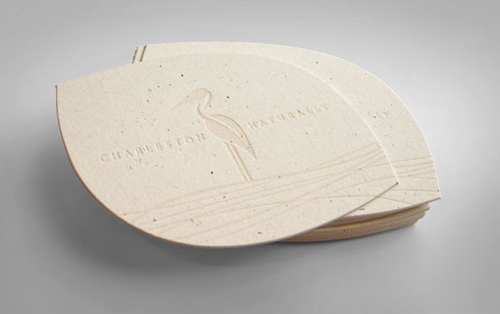 A business card designed for an online purveyor of organic, natural, and eco-friendly health & beauty products. 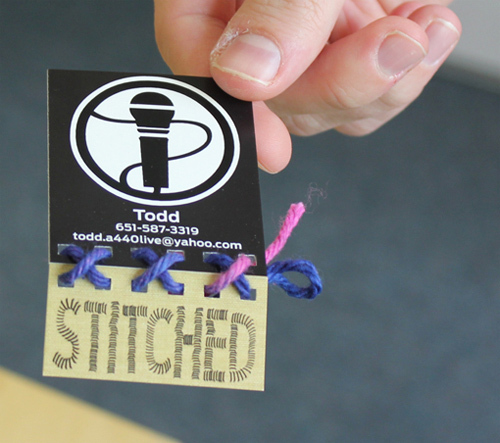 A business card designed for a band named Stitched on which the cards are cut on the seam and hand stitched with rainbow yarn. 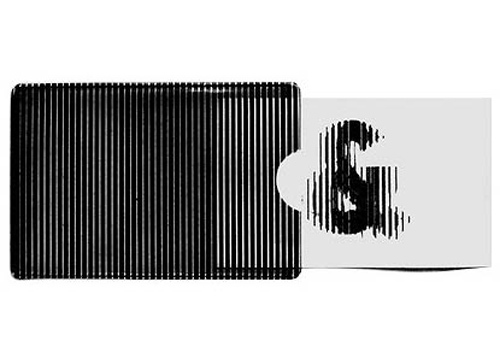 A a fun and standout design for a business card of a hair salon. 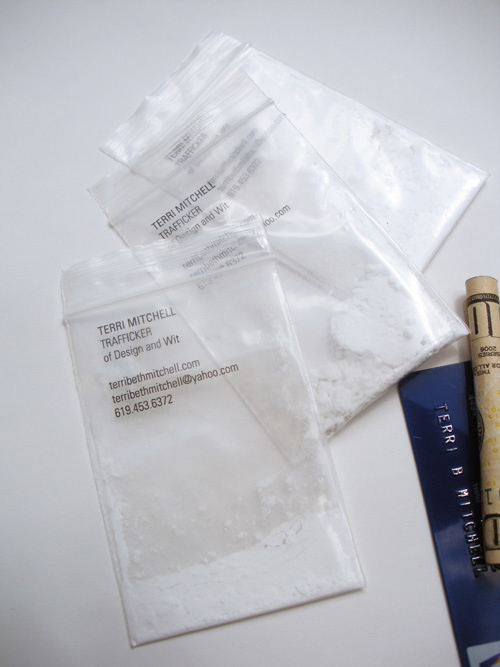 Great innovative and unique card deigned by Terri Beth Mitchell which was filled with powdered sugar. 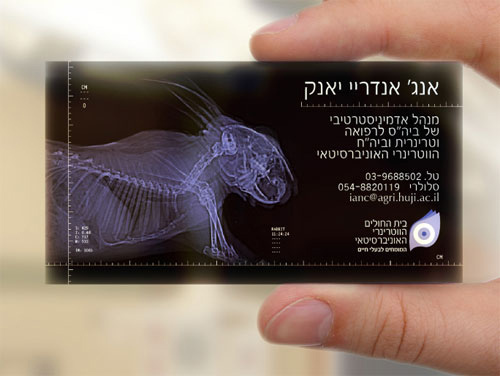 A transparent business card created from the hospital’s stock of animal x-ray footage. 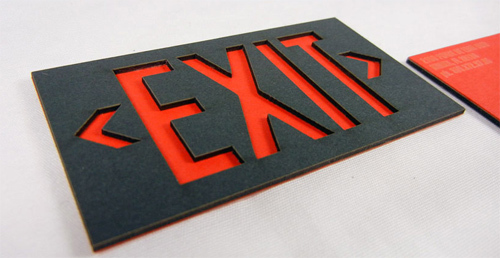 6 unique printing processes, laser diecutting, 3 different papers, and a fortune. 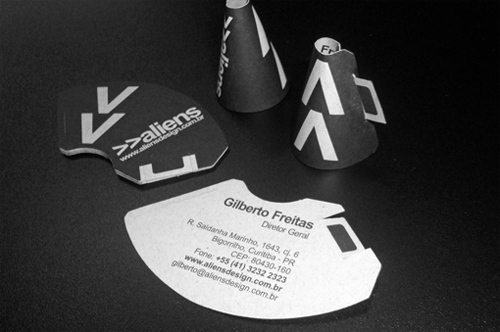 A business card which forms like a megaphone created for advertising agency. 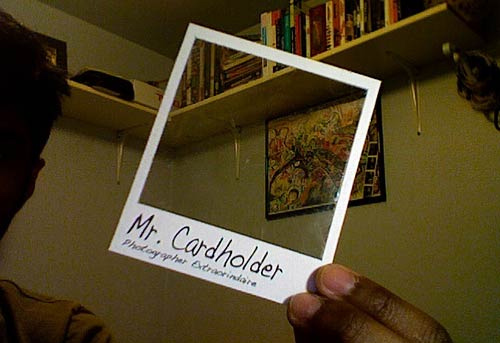 Cool business card template made out of a Polaroid look a like. 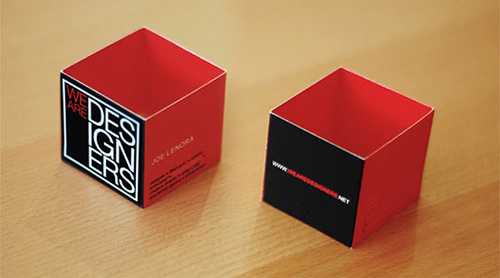 Designed by: O & Co.
A business card with a strong visual typography that has a PVC plastic cover. 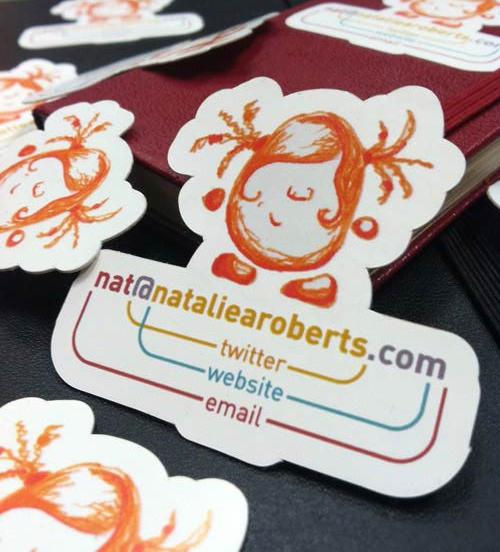 Die cut sticker uses illustration and minimalist presentation of information such as your website, twitter ID, and email address. 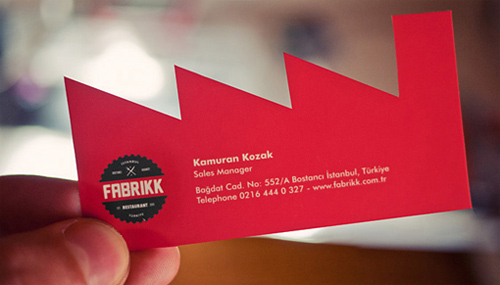 A business card designed for an Istanbul based restaurant. 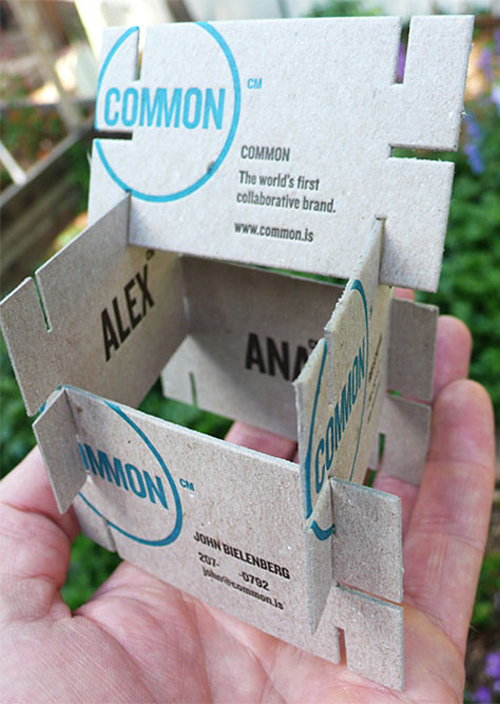 A business card which can be assembled as a furniture. 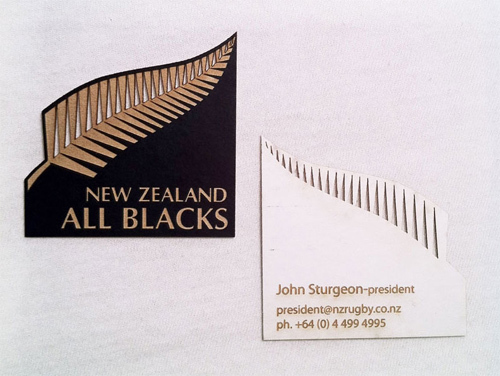 A business card made for New zealand’s rugby team named All Blacks. 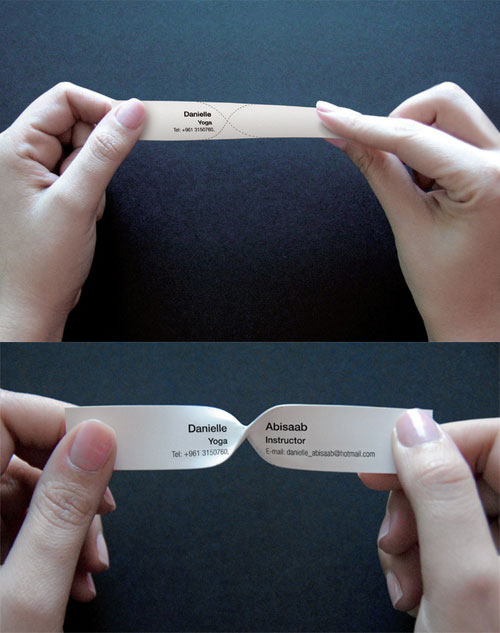 A business card printed on a non-tearable and flexible paper. A business card designed for music photographer Allen Ross Thomas. 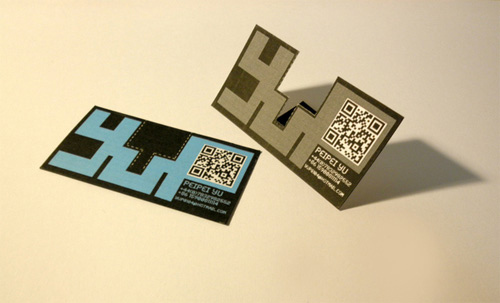 A creatively designed business card which looks like a bird inside a cage and a free bird when opened. 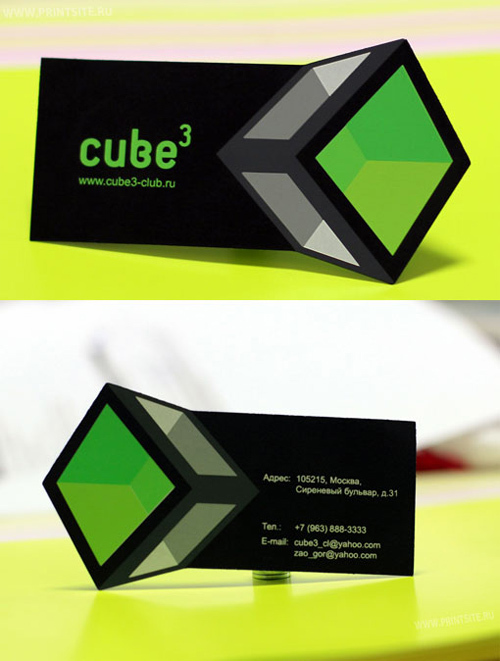 A business card which can be formed as YuP (the nickname of the designer). Die cut, matted metal foil stamped on blue colored paper. 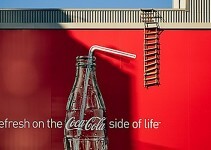 funny design, look so charming .